PrestaShop installation might be a daunting process for many but running the store isn’t. 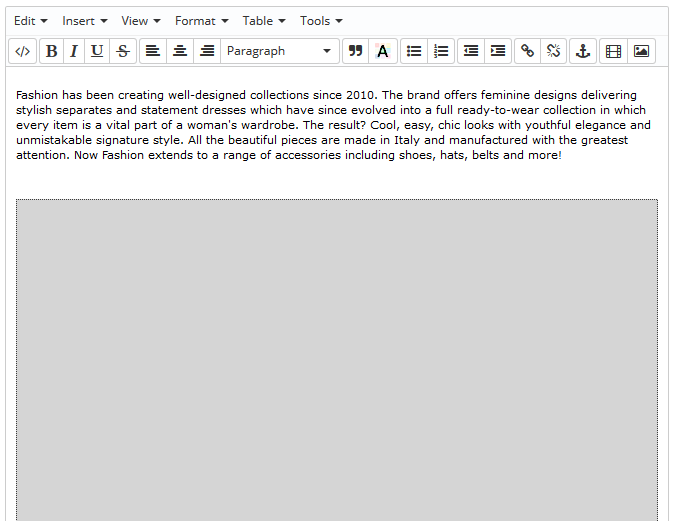 It is the most modern Content Management System for online shops at the moment. 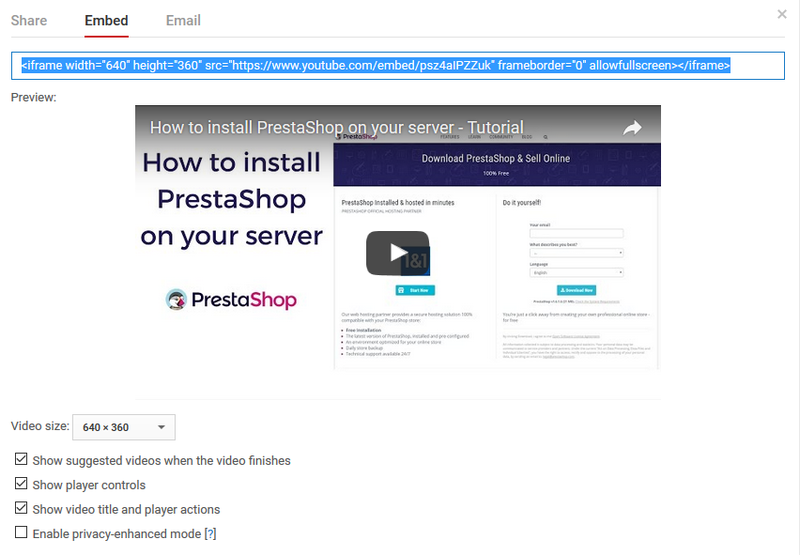 In this guide, I’ll help you to embed YouTube videos into your PrestaShop Store. It is slightly tricky, isn’t it? You’ll find yourself more confident in the end of this tutorial. 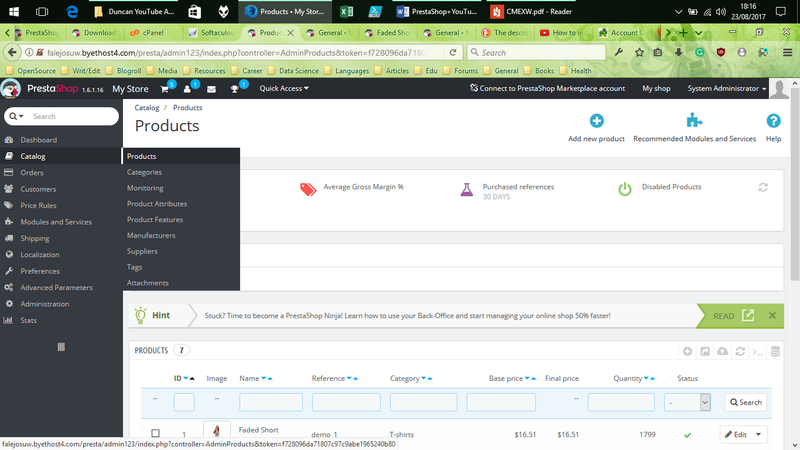 Now, you can see your products list, if any. 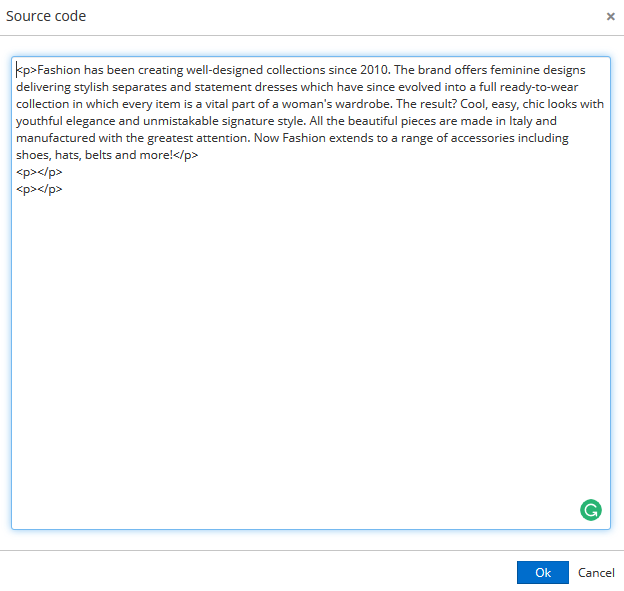 Click on button to enter into details of your products. Now you are on your Product Page. Scroll down to Description which is next to Short Description. And a new editor will pop-up to paste the embed code of your YouTube video. Set up necessary elements like video size, video titles, and frame controls. If you need more advanced options for customizing YouTube check out our free Embed wizard tool here, with other 30 customizations. Now paste into your source code dialogue box. 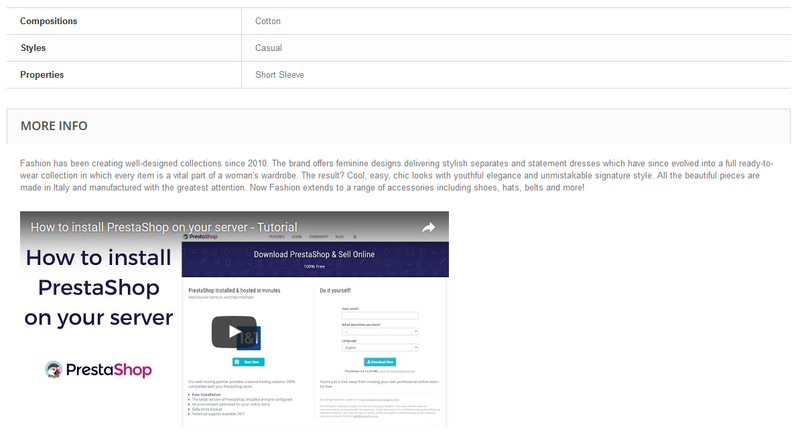 There are paid modules for Prestashop which provide more flexibility to add YouTube videos but can be very expensive for a new store. Wish you good luck with your business! Why does my YouTube video not autoplay?